Vickie started working in the dental industry when she was 16, and completed her NEBDN (National Examining Board for Dental Nurses) Certificate in 1998. She then went on to expand her knowledge in dentistry by completing her NEBDN certificates in oral health education and fluoride application. 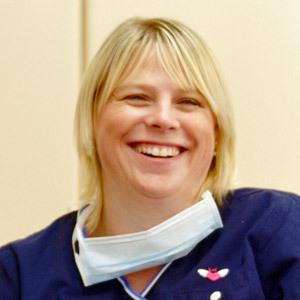 Vickie also works alongside Giles Kidner, the practice's consultant orthodontist, as his nurse. Vickie joined the Beaconsfield Dental Practice in May 1999. Outside of work Vickie enjoys country walks and keeping fit.